Never mind what he does behind the wheel of his Bentley Continental or his Porsche Cayenne, Carlos Tevez has moved slickly through the gears in recent times with three goals in his last three Manchester City appearances. His solicitor says he doesn’t understand the word ‘constabulary’ – hence his inability to respond to police speeding notifications – but all City fans will hope he doesn’t have to mess around with his vowels and trade goal for gaol in the wake of his latest motoring ‘misunderstanding’. One can only hope that Tevez won’t be diverted from his purpose of delivering silverware to the Etihad by any court intervention, ironically at a time when his City stock in on the rise once again. The indefatigable Argentine was demonized following his misdemeanors in Munich in 2011 when he refused to come off the bench in the Champions League. It’d be a strange kind of karma if a bench of the magistrates persuasion cast fresh scorn on his City career. A knee injury to Sergio Aguero and the departure of Mario Balotelli back to Italy has suddenly promoted Tevez to a place where he loves to be – the focus of any team in which he plays and the darling of the terraces. The stage is set for the man dragged from the tough backstreets of Fort Apache in Buenos Airies, to once again see his star ascending in the hearts and minds of the sky blue side of Manchester. His goals could see Roberto Mancini’s side through to their second FA Cup semi final in three seasons and the real prospect of a third major trophy in three-and-half years of the Italian’s reign. It’s City second installment of cup-tie War of the Roses, having cut Leeds down to size in the last round. The Premier League Champions should be able to prune the Cup aspirations of the Tykes from t’Barnsley, but any hint of complacency could be City’s undoing. Barnsley’s new manager David Flitcroft has breathed new life and impetus into the South Yorkshire side’s battle for Championship survival and, on their day, the men from Oakwell are capable of stoical resistance and a sucker punch. The younger brother of former City midfielder, Gary, David has inspired Barnsley on a run of just two defeats in 11 games. His two young sons will be Barnsley mascots, whereas Gary’s sons will be City mascots and will play in the match that provides half-time entertainment to a sold out Etihad. The match presents Mancini with some selection headaches as City’s injury list lengthens. No Kompany, Aguero, Rodwell, Richards or Maicon for today and the skipper, even at this early stage, a major doubt for the encounter with the nemesis of Everton next week. Better news comes with the prospect of Edin Dzeko making his 100th City appearance and adding to his tally as the club’s top scorer this season. With all the indications being that the big Bosnian is Bundesliga bound this summer, a second FA Cup winner’s medal would be a suitable parting memento. It’d be a disservice to Barnsley to assume they’ll come and park t’charabanc. Their gutsy showings of recent times could even see them take the game to City in an audacious attempt to wrong foot the favourites. Top scorer Chris Dagnall is the dangerman but if Nastasic and the re-born Kolo Toure are on their game, it should be another clean sheet in the competition for Costel Pantilimon who has yet to concede. Irrespective of the Yorkshiremen’s blueprint to prevent the blue moon rising, City would be well advised to adopt a quicker, crisper tempo than that on display at Villa Park on Monday night. Just why the team seems afflicted with such a malaise is both infuriating as it is puzzling. Time and time again we’ve witnessed a City side playing at pace and with purpose destroy the opposition. So why adopt a stance akin to a sloth on valium? Deploy Yaya upfield with a licence to terrorise. Sit Garcia in front of City’s admirable backline, always but always select Milner over Nasri and invite the Spanish Magician to orchestrate proceedings. It’s a frustration why Nasri continues to underwhelm. He has the skill but not the application. He seems to lack courage and any real fight – characteristics deemed not acceptable to the Sky Blue faithful. City fans will always forgive a ‘trier’ – not so a prima donna. With the malicious moronic manipulative men of the media finally resigning themselves to the fact that Roberto Mancini will be running the show at ManchesterCity next season, what better riposte than another trophy in the Etihad cabinet? With a 47,000 plus capacity crowd all ‘Up for t’Cup’ come tea time today let’s hope there’ll be no reversing out of this famous old competition – Carlos take note! Another top synopsis David, I do like your anologies "sloth on Valium". Like V Leeds however, if we can score early I think we'll run away with it. I don't know why but I fancy Silva to hit a brace today. I hope so anyway, I've got money on another 4-0, and hoping to book my hotel for another weekend in London tonight. Cheers again, and keep up the good work. Thanks for providing my weekend kick start David, like you, I really hope we come out of the blocks fast and decisively and if Bobby reads your words and picks the team you have suggested there is no reason why this cannot be the case. Be good to get a double whammy this weekend and see a comfortable City victory augmented by an ugly and undeserved Chelsea victory over the Salford Quays Buccaneers. Hopefully this would then make Baconface explode with trauma and repeat the classless behaviors he demonstrated mid week. Don't want much do I? Distraught pensioner - Care in The Community obviously didn't work. Thanks fella. Agree with you, here, David. Why does Tevez give himself up as such an easy target though? Frustrating as far as that is concerned. Give Barnsley due respect, but approach the game in the same manner a la Leeds. Let's hope for the same verdict as then, and that Barnsley join the ranks of the latest discovered relic from the Wars of the Roses! Indeed. Hopefully Wemberleeee awaits. Gratitude. Another top class read David,on paper it shoul be a comfortable early evening but we all know the saying you don't play football on paper.Saying that Mr Mancini has always taken this comp very seriously and we will just be too powerful for the yorkshire men today so onwards to another wembley visit. Hopefully we'll get our just desserts at the cost of the puddings! Child on backseat on long journey approach - I like it! lovely stuff (even though you probably pissed off any blues from t'other side o't'hills!) lets hope for a big fat win eh?....or I'd settle for a skinny little one too. Another superb article. Love the 'adopt a stance akin to a sloth on valium?' It is incredibly frustrating when they play that way! Was more distraught than him from from Stretford (who should never be named), when I heard the news yesterday about Carlos, dear Lord has he no sense or understanding how easily identifiable he is! Looking forward to the match, would love to be visiting Wembley! Being a Lancashire Lass on missionary work in Yorkshire it is vital we win today! We must do iot for you good lady if your covert behind enemy lines on t'other side of t'pennines. Some Yorkshire folk are going to get well t'hacked off with my constant t's. No offence folks - lived amongst you twice in Leeds and Sheffield - good people. Great read as always David, it's certainly got the pre match juices flowing! If we play with a high tempo I can see a similar scoreline to the previous round. I'd be very surprised if the magistrates actually sent down a multi-millionaire footballer! Tevez will get himself a jolly expensive lawyer and escape with a hefty fine and a bit of well-publicised community service IMO. Just have to hope that the incident doesn't distract him and that nothing happens until the close season. Stay on the road to Wembley - but Carlos not driving the coach! Sloth on valium-brilliant made me giggle nearly as much as baconfaces meltdown. Really excited for the match now Mr Motivator. Energetic imagery! Glad you liked it - thanks. Beautifully written as always and I love your tongue in cheek humour. Hilarious description of our beloved 'sloths on valium' Perfectly summed up. So much respect for Mancini with the pressure he must clearly be under with media, injury worries & now Carlito? What was he thinking? Hopefully Carlos will stay out of jail - just the magistrates aren't Manure fans! Sloths on Valium hahaha that made me chuckle!! On a serious note though, you make all your points well as usual David, and I'm getting giddy at the thought of the trip to wemberlee that is surely ours if we don't get complacent!! Hopefully City will play like cheetahs on crack today - felines on pharmaceuticals. Err, maybe not! 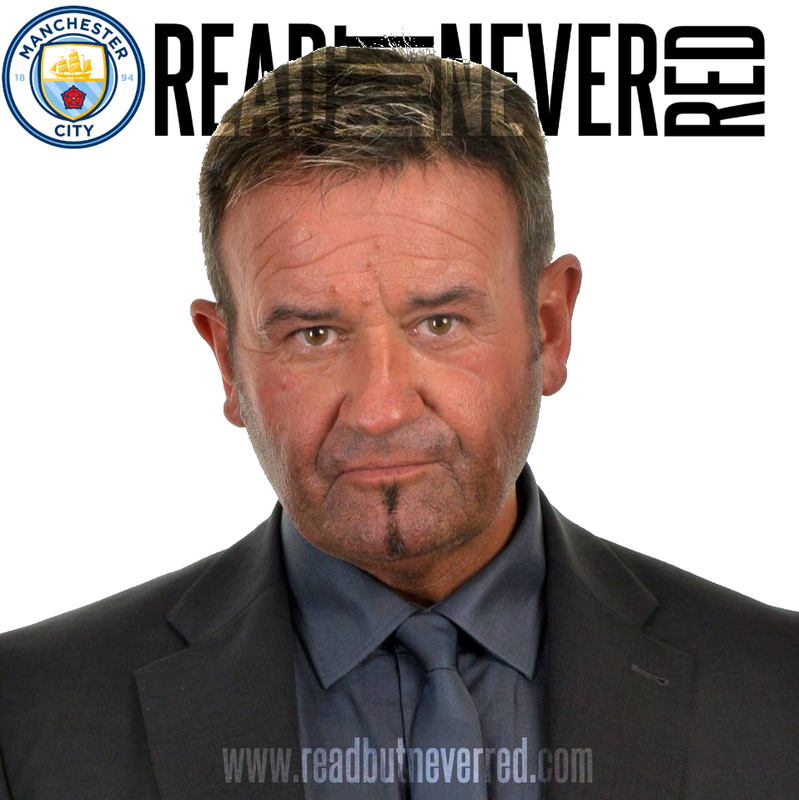 Nice read David,I'm pretty sure Barnsley will park the bus,its really there only hope of getting something from the game. Just hope city don't play in 2nd gear like they did against villa,that could be dangerous. We've even had our nemesis of Everton removed from our potential route to Wembley. If we are to relinquish the PL title it'd be sweet to beat Manure in FAC Final & deprive them of an undeserved 'double'. 96 Manchester City have no history...oh really?